I need a hero. What makes a hero? We all have our club favourites and legends who we talk about and reminisce over. Those moments you were there to witness and regale over a pint and that bond us as fans. There are those moments of history off the field that are debated on the terraces and talked about in the pubs. They inspire pride and passion and are generally considered personal to each club. However, there are some heroes who have straddled rival clubs and some may consider them turncoats these days. Back in the early days of the football league, the mindset was different. And there is one colossus figure who is claimed as a hero by both Manchester clubs. William Henry Meredith is really a superhero. Wherever he played he left an indelible mark. Born July 1874 in Chirk, Wales Billy naturally followed family tradition and started working down the mines. The ever-popular recreation of football would become a way of life for him. Aged 18 he made his debut for Chirk Amateur Athletic Association Football Club and was instrumental in helping them win the Welsh Cup in 1894. As an amateur, he could also play for the English club Northwich Victoria where his talents were noticed and he signed for Ardwick FC in that capacity too. At first, he continued working down the mines and commuting to Manchester. Ironically, one of his early appearances for the team that became Manchester City was a 5-2 defeat to Newton Heath, the team that became Manchester United. Standing out from the crowd both on and off the pitch, this lanky Welshman was asked to captain City in his second season at the club. He was only 21-years-old. Very soon the fans were heard to be singing, “Oh I wish I was you, Billy Meredith, I wish I was you. I envy you, indeed I do”, around Hyde Road. I mean, he was their top scorer after his first season. He was unmissable playing with a toothpick between his teeth to aid concentration and a waiting partner for his legendary crosses. His first partner was Pat Finnerhan who decided to play for Liverpool. But, in 1897-99, his partnership with William Smith – known as “Stockport Smith” – saw City become dominant in the Second Division. With the signing of Meredith’s hero, Jimmy Ross, City were promoted to the first division. Sometimes experience is needed to bridge a gap. Meredith himself became that figure despite his youth. He was very sure of himself and his abilities and City was seen as being a one-man team. The fans’ song didn’t seem to reflect that as the lyric says, “But it’s those centres that you send in which Turnbull then heads in.” It was his ability to read the game and influence in attack that made him such a popular figure and an exciting one to watch. This early team was “typical City” and the defensive flaws meant City started life going between the first and second divisions. I guess that this is what is known as history in the making, but Meredith captained City to an FA Cup victory in 1904 and scored the only goal of the match. Controversy follows brilliance and Bolton have always maintained he was offside. What ensued can only be described as that. City were contenders for the League title the following season. It was a last day battle for the title and City had to beat Aston Villa if they were to take it from Newcastle. There was no fairytale ending as City lost 3-2. The ending became a nightmare as Sandy Turnbull and Villa’s captain Alex Leake clashed. This was not the clash of two men passionate about the sport, but two men fighting like animals and literally slinging mud and two-fingered gestures. This escalated into fisticuffs and with the subsequent FA investigation, Meredith would enter the arena of scandal. A Scandal In Football – Who’d have thought? Alex Leake claimed that Meredith had offered him £10 to throw the game. Meredith was suspended without pay for 18 months. I would imagine that this caused him more consternation than the FA fines and a ferocious national scandal. A man who was said to have known his worth would have felt that he was abandoned by his employers and he decided to blow the proverbial whistle. If Meredith had offered that bribe, it was on the management’s orders. He was not going to be a scapegoat. The resulting scandal also revealed that City had been paying players more than the £4 weekly maximum wage. In fact, some players received up to £7 for their achievements. A further 17 players were banned from playing as a result. United’s manager Ernest Mangnall took advantage of this and strengthened his newly- promoted squad with four of these stars. Herbert Bannister, Jimmy Turnbull, and Sandy Turnbull signed for United. Meredith also became a Red and his debut was New Years Day 1907, rather ironically it was against Aston Villa. He provided Sandy Turnbull with the assist for the sole goal of that match. United finished the following season as champions of 1908 for the first time in their history. They won the FA Cup the following season but Meredith was suspended for the month of January after he kicked a player. Prolific and influential both on and off the pitch it would only be a matter of time before the nation read about him again. With the maximum £4 weekly wage as a top priority, he chaired a meeting of some 500 players to discuss a players union and campaign for a more fair system. With that, the Association Footballers Union was formed and strike action was threatened. Most clubs responded by threatening to cancel players’ registration and the majority of players left the union. The entire Manchester United squad did remained, however, and could not participate in the game. They renamed themselves “Outcasts FC” and continued to train. A compromise was reached and they returned to the league. As a former miner, he campaigned for workers rights but the unions did not see footballers as workers in the traditional sense and therefore no need to improve conditions. The Union was recognised and a bonus payment system was agreed. Capped wages continued. So did United’s success. With 303 appearances and 35 goals, Meredith is definitely a club legend. He helped them win two First Division titles and an FA Cup. He also is the oldest player ever to play for United on 7 May 1921, at 46 years and 281 days. I doubt he will ever lose that title. With 339 appearances and 129 goals for City, he is considered a legend there too. He returned to City and in his last match against Newcastle in the semi-final of the FA Cup, at the age of 49 years and 245 days, it made him the oldest player to play for City. Do you think he will lose that honour? Honour is something he prided himself on. A champion of workers rights and a proud Welshman who had 48 caps for his home country. He actually received over 70 call-ups but he was not often released – another thing he campaigned for. 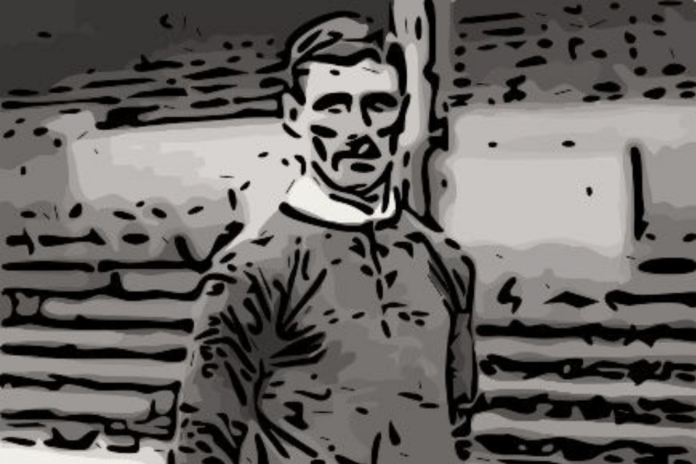 The last cap was won when he was aged 45 years and 229 days and it was when Wales beat England 2-1 to win the 1920 British Home Championship. I am sure this was one of his proudest moments. In an age where playing for rival teams was less controversial, Meredith shone for both clubs and is claimed by both City and United as a hero. He died in April 1958 at the age of 83 and was buried in an unmarked grave. He certainly played the game with some 750 senior appearances so eventually City, United, the PFA, and the Welsh FA eventually decided to pay for a headstone and its upkeep. He didn’t need one as he knew his own worth. Next articleRonaldo (Part 2): That Goal! That Injury! That Final!